Formerly H. corsicus. 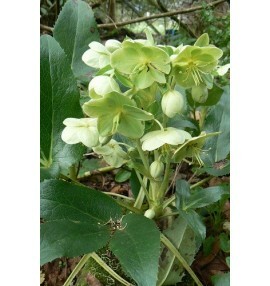 Also known as the Holly Leaf hellebore. Flowers in late winter and early spring, with clusters of apple-green flowers. 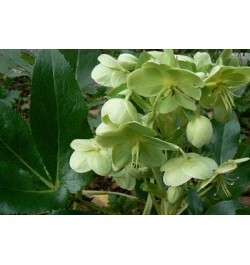 Foliage is sturdy and evergreen in a pleasing greyish-green shade. . Plants should be trimmed only right after blooming, if at all.